I believe in working with teams of motivated people to advance scholarship, enhance learning, and improve our communities. A few efforts I'm proud of are briefly described below. Experiential learning is at its best when there are real stakes, students have the agency to solve problems, and there is a tangible difference between success and failure. As I learned at Deep Springs College, caring for plants and animals fits this bill in spades. To extend this model to Penn State, I worked with a group of students, faculty, and administrators to secure land access and institutional support for a Student Farm. 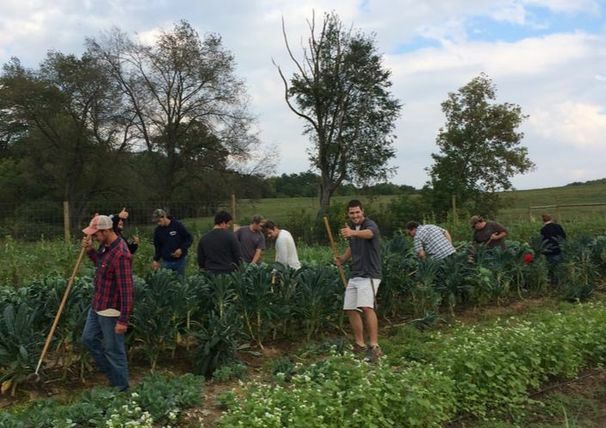 Now in its second year of production, the farm provides a setting for students to take on real responsibility while learning skills ranging from plant production to supply chain management. The farm is also a great place for classes to come see sustainable agriculture practices in action, and perhaps even try their hand (see picture). Students will soon be able to pair these hands-on experiences with a forthcoming Food Systems Minor that I helped develop as part of the Curriculum Sub-Committee of the Student Farm Steering Committee. Together, the farm and minor have the potential to engage students as whole people--academically, personally, and ethically--and help develop future food system leaders. 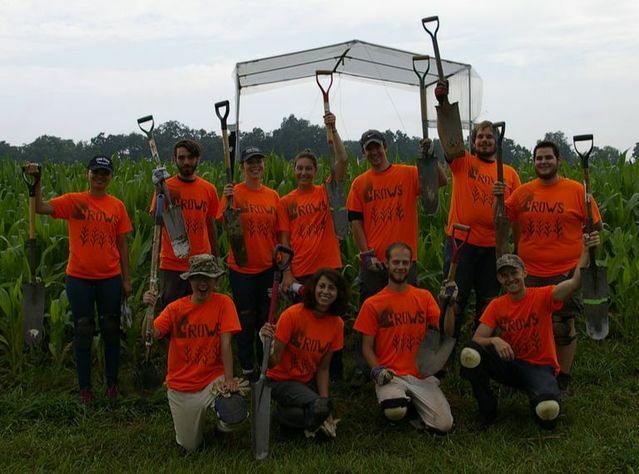 My dissertation field work would not have been possible without small armies of undergraduate research assistants. Working and learning along with these students was a highlight of the process. They kept me on my toes as I taught them field research methods that I was often just learning myself, and their questions forced me to deepen my own knowledge. It has been satisfying to see many of these students go on to further work in agriculture and natural resource conservation. The farmers who serve as collaborators and advisors on the Cover Crop Cocktails project have contributed invaluable practical knowledge, creativity, and perspective to our work. In turn, our research methods have revealed new insights about their soils and farming practices. 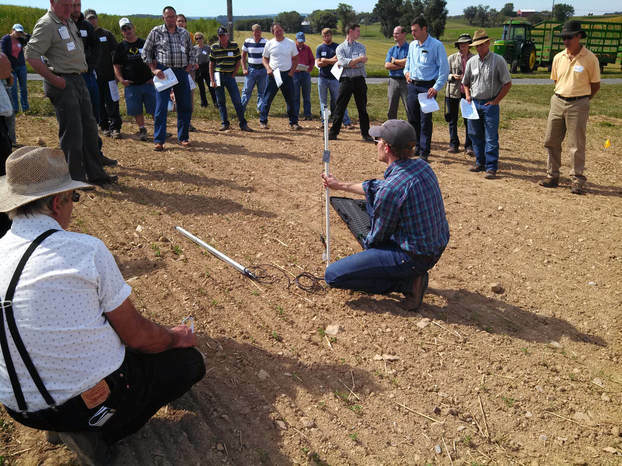 Much of the knowledge we've built together has been shared within the farming community and beyond through field days and webinars (see Videos page). I see farmer-led research as a key avenue for improving agricultural management practices on the ground.